This is one of my first attempts at a fine art still life. 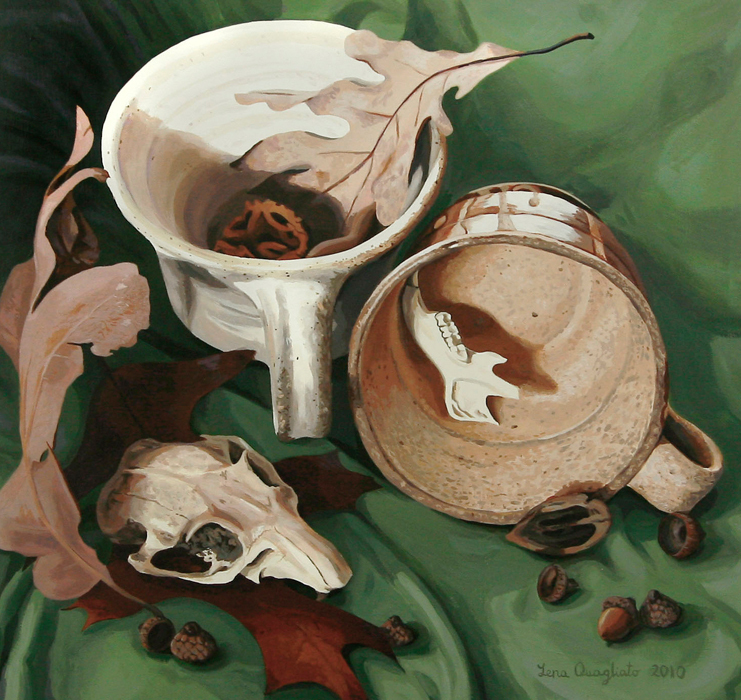 I wanted to create a Missouri themed still life, with the colors and subjects that one would find in the woods. Although the gopher skull is native to Colorado, where I found it, I still thought it fit and wanted to use pieces of collectibles that I liked. I loved the structure of animal skulls and liked the way that it mimicked the curves of the clay cups and the holes in the nuts.